PVC Polyvinyl Material used to deflect outdoor moisture. 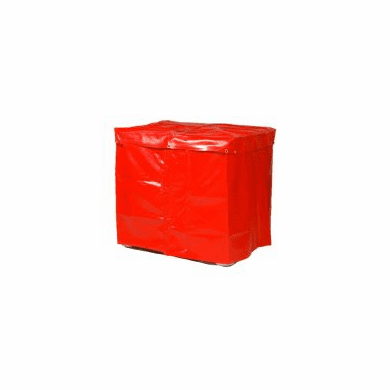 This PVC Coated Polyvinyl waterproof 2-piece cover allows blanket heaters to be used outdoors under general weather conditions. 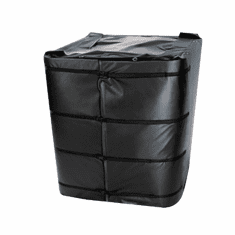 The Velcro wrap fits securely around your standard IBC Tote Heater and has a handy drawstring in the lid. 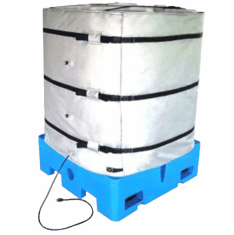 This IBC Heater Cover will withstand temperatures down to 32� F and most normal rainy weather due to its durable 0.5mm PVC coated polyvinyl material.